In This Section You Will Learn The Citrus Gardening Tips for How To Create Your Own Homegrown Citrus Garden. There is something thrilling about growing a citrus garden at home. It almost defies nature. I think that's because when you think of citrus, you inevitably imagine a sunny oasis where citrus trees line an orchard and the fragrance overwhelms you with every step. But citrus is sometimes grown where the climate gets a little colder. In these climates, the trees need to be brought inside until they are mature enough to keep them from getting too cold. So, yes, citrus trees are grown indoors. I'm happy to say that this year for the first time I was able to harvest a few dozen Imperial Mandarins from my potted trees on my sheltered front porch, and I look forward to harvesting the crop from my tree in the back yard that has at last borne fruit. I also have a couple of Lemon trees that I look forward to picking lemons from, since I am a big fan of using citrus in my cooking, and in my crafts. And this year was a bumper crop for the cumquats! I have many containers of preserved whole cumquats in jelly that I enjoy on my winter breakfast toast. Let's take a look at how to start growing citrus from a seedling, how to grow citrus indoors, and finally, some interesting citrus garden fun. Growing citrus from seeds is surprisingly straight forward, and something that anyone can do if they have a warm, sunny windowsill, and lots of patience. So if you are not in a big hurry to pick your fruit, and you want to save money and enjoy the novelty of growing your citrus trees from seeds, then this is one way to go about it. You can either get citrus seeds through a gardening supplier or, even easier, collect your own from the citrus you eat. Choose organic, naturally grown citrus as you will eliminate the added chemicals, especially the ones used to prevent seed germination, which you definitely don't want when trying to sprout your seeds. Cut the citrus open to expose the seeds. Remove the seeds and wash lightly. Place the ‘clean’ seeds into a bowl or glass of fresh water. This is in order to sort good seeds from bad seeds. Discard any seeds that immediately float to the surface or are cut or split, as these are not going to germinate. Once you have culled your seeds, they can be either germinated or dried and stored in a paper envelope until you're ready for them. Citrus seeds require a period of dormancy in cold temperature in order to initiate germination. To get your seeds 'in the mood' to germinate, you'll need to refrigerate them. Prepare a little germination chamber by first laying the seeds on a paper towel, then fold the paper towel over the seeds, completely encasing the seeds inside. Now slip the paper towel into a ziploc plastic bag or airtight food container, then place in the produce drawer in your refrigerator. It should take about four to six weeks to germinate the seeds this way. When you unwrap your germinated seeds, you'll see a little sprout. It's time to condition your seeds and prepare your pots. Put the seeds in cool, clean fresh water and allow to soak for a few hours. Meanwhile, prepare small pots, about 2 to 3 inch size, one for each seed. Choose a tray for draining that fits under the pots. If you have a somewhat sunny, not scorching hot, windowsill, a long narrow tray with several small pots works well. Fill the pots with a handful of pebbles then a light, fluffy potting soil. Moisten the soil so it's damp, but not waterlogged. Carefully take each seed, sprout side up, and push a hole in the soil, then drop seed in, making sure most of the sprout is above the soil. Tap down lightly around the sprout and gently sprinkle a little water in each pot. Watch the sunlight and water carefully. The sprouts need to be warm, not hot. The soil needs to be moist, not waterlogged. The seedlings can be left in these pots until they are about 4 to 6 inches tall. Then you'll need to prepare bigger pots, but be sure to only go up one size. A plant that has too much room for the roots won't spend any time growing up. It will put all it's effort into growing more roots to fill the pot. You need a good amount of green leaves for your plant to mature, so you want your plant to grow upward and not just into more roots. 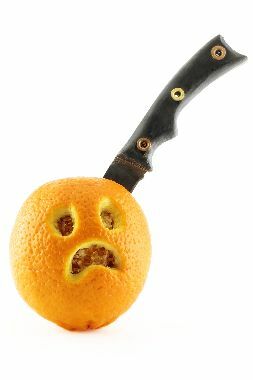 Once your citrus plants are in their next size pot, you can start to 'harden off' the plant if weather in your area permits. This just means they can be moved outside to a sheltered area where they will get some warm, indirect sunlight and gentle breezes. Remember, they're still baby plants, so avoid hot sun and strong winds. If you're ambitious, you can take the plants out daily, then return them to shelter overnight. It all depends on your weather and your set up. You will want to keep in mind your citrus plant's native lands when you consider the environment you give them. Citrus plants like warm days and cool nights, so try to mimic that for them. When the plants appear to be toppling over in their pots, you'll need to transplant them again. Remember just to go up one pot size at a time. 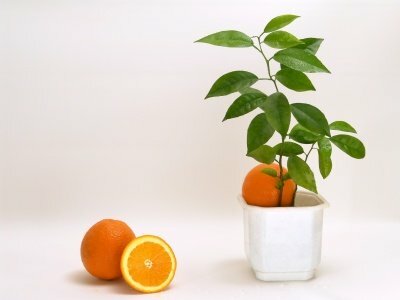 You may do this several times until your citrus plant has reached the desired size. Most people who grow citrus fruit at home choose small varieties of lemons and limes to start with because the plants are smaller and easier to handle. Once your citrus plant has reached a healthy size, you can choose a spot outside for it to live during temperate seasons. During months where freezing weather occurs, you'll need to move your plants inside. You'll just need to make sure they get enough sunlight and water. You'll also need to research fertilizers and choose one that works for you to keep the plant nourished and fed. Blossoms and fruit may not appear for several years. Don't be frustrated. Let the plant mature, keep it healthy, and you will be rewarded for your patience. Your very own citrus garden will take planning and work, but it's something you can do, even in very small spaces, and with very little experience. The following is an overview and a few tricks to help give you a citrus green thumb. Pot plants correctly - A deep container, either clay or ceramic, works well. Citrus roots are fairly deep, so you'll need a pot that allows roots to grow down deep. Be prepare to have about 3 or 4 pots in progressively larger sizes on hand for the transplants. Use a sterile all-purpose potting mix - If you can't find a potting mix designed especially for citrus, just make sure your potting mix is slightly acidic. Peat moss is a good additive to bring acidic levels up. If you're unsure, ask at any garden shop and they can help you. You can also add citrus rind peelings to the soil to get the acid levels up. Give mature citrus trees a chilly bedtime - During the day, you want a warm location, but citrus likes to be chilly at night. 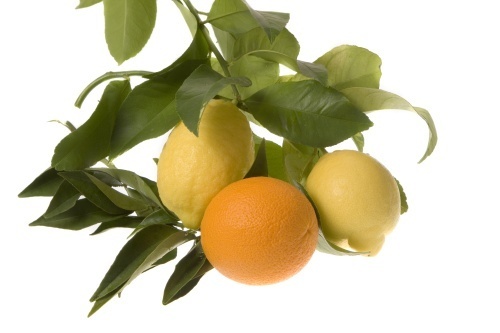 A temperature around 50 to 60 degrees is good for a citrus tree's bedtime, but only after your citrus plant grows up. Lots of the right light - A southeast facing window works well in most regions. The plant will get sunlight, but not get scorched, as they might in a southwest window. Maintain an evenly moist soil - Don't let the soil dry out between watering. Keep the soil moist, making sure you don't add so much water that the plant is sitting in a puddle. Stick your finger in the soil and if it feels dry more than an inch below the surface, add water. Keep the humidity high - Citrus plants want a humidity level around 50 to 60 percent. Keep that in mind when you choose the location for growing your citrus tree. Mist your plants daily and group the plants together. This helps both to make it easier for you to mist your plants, and it also creates a little ecosystem where the plants are sharing their humidity with each other. 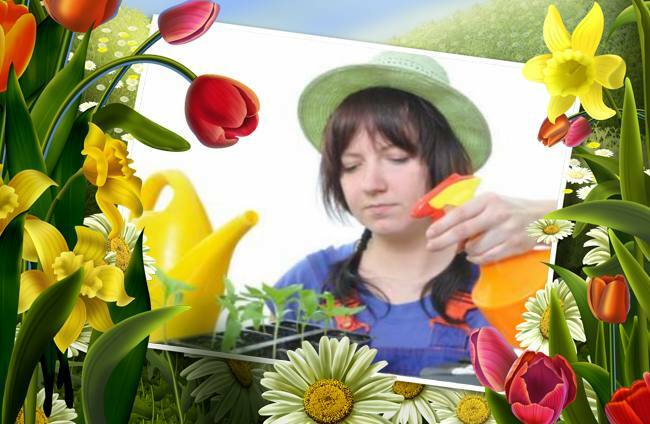 Pest control - The most likely pests are white-flies and spider mites. Insecticidal soap controls virtually all the pests for houseplants. Do the research and choose a method that works best for you and your environment. Okay, you've got all the step-by-step instructions and tips for planting and growing citrus fruits from seed to tree. But, do you want to do something a little bit off the grid? Here's a fun spin on planting citrus that you, and especially your kids, may enjoy doing. Choose a large, thick citrus fruit. A grapefruit works well, but a thick orange would work, too. Juice the fruit and take out enough of the membrane to form an empty bowl shape. Separate a couple seeds and rinse them off. Spoon some good potting soil into the 'fruit bowls' and place your seeds in the soil of both halves of the grapefruit, tamping the soil down lightly. Water and place in a sunny area just like you would a regular pot. Make sure you provide lots of sunshine, warmth, and water so the seeds sprout. When the sprouts turn into little plants, leafing out and getting tall, just pick up the entire grapefruit and plant it in a bigger pot filled with good potting soil. The grapefruit rind will decompose which actually helps fertilize the soil as well as adding acidity to the potting mix, which is often needed in a commercial mix. This project is definitely a win-win situation. The grapefruit 'pot' is pretty, totally biodegradable, and adds acid to the potting soil. You might even say this is an all-in-one garden starter kit in a nifty little package. How fun is that! Well, nobody ever said you had to take planting a citrus tree seriously! We are all familiar with the typical varieties of citrus, but there are probably a few you are not aware of. Either they are not grown close enough to your region so you have access to them, or perhaps you never thought to seek them out. Let's take a look at four unusual citrus fruits that might be worth getting to know. 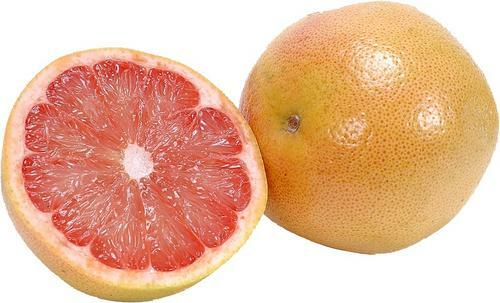 The pummelo, also known as pomelo, is the largest of the citrus fruits. It is native to southeastern Asia and Malaysia and grows wild in Fiji and surrounding Islands. Dr. David Fairchild is credited with the introduction of the pummelo into the United States. He began trying to introduce the tasty citrus in 1899, but was unable to reproduce the satisfying fruit until 1926 when seeds of a cultivar in Kediri were collected and sent to the Citrus Quarantine Station in Bethesda, Maryland, and grown successfully. Since then, the pummelo has never attained significant status. However, it is casually grown as a curiosity in private gardens in Florida and the Caribbean area. At least one fruit-grower in Florida raises pummelos on a small commercial scale. Hardly a large production, but the largest in the United States. The minneola is a cross between a tangerine and a grapefruit and can be recognized by 'the little nose' that distinctly sticks out from the fruit. It is actually a very specific type of tangelo (a cross between a Duncan grapefruit and a Dancy tangerine) and is marketed as an easy-to-peel citrus fruit. Minneolas were first released as a sustainable fruit in 1931 by the USDA Horticultural Research Station in Orlando. 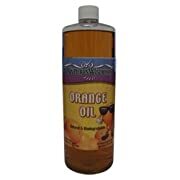 It is named after Minneola, Florida, where it was originally developed. It is also called the honeybell fruit by some growers in certain areas. The fruit matures December through February, and is at its peak of ripeness during the month of January. The lime is one of the most cultivated citrus fruits in the tropics. 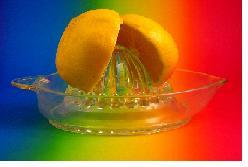 Shaped like lemons, limes are generally smaller and more acidic. The leech lime is a bit bigger than the traditional limes we see in the grocery store and have a wart-like skin. Leech limes are believed to be one of the most detoxifying of all fruits. So, if you want to cleanse your body, squeeze some leech limes into your water. In Malaysia, a bit of folklore surrounds the juice of leech limes, as it is said to scare away evil spirits. In modern times, the leech lime is basically either juiced for drinking and cooking, and the leaves are kept either fresh or dried, and are used to flavor soups, curries, and sauces. The intriguing name is enough to entice you to try this citrus fruit. Uglis are a specific kind of tangelo, easier to peel because of the loose skin. The skin may also have brown and green spots. The light green surface turns spotty and orange when the fruit is at its peak of ripeness. In essence, it looks pretty ugly. If you didn't know you were looking at an Ugli fruit, you might think you had a bad grapefruit in your hand. The flesh is very juicy and the taste is often described as more tart than an orange and sweeter than a tangerine. You might suspect from the flavor that the ugli fruit is a lemon-tangerine hybrid. The fruit is seasonal from December to April and peak distribution occurs in the United States between November and April. You can fill the fruit bowl with oranges, lemons, limes, and tangerines, or you can surprise your family with a bowl of citrus they don't recognize. Enjoy their puzzled expressions while you can, because it won't last once they dig in. Then you'll see nothing but smiles, dripping with juicy citrus goodness! A lot of times, lack of success with growing citrus in your garden is the result of a lack of knowledge or understanding of the citrus gardening tips that give you the green thumb you always wanted. If this is the case, then you should take the time to begin researching the subject it is that you don’t know much about. There is a lot of power and relief that comes from learning about various topics. You’ll be surprised about how much a little research can help you with more citrus gardening tips. 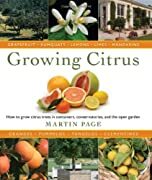 Below here I'm featuring more pages with helpful how-to-do-it tips on this subject, especially with more free citrus gardening tips like the ones above. Feel free to submit your own story or article about growing citrus trees, and I will create your own page here with your contribution for the community to read. Back to HOME PAGE of this citrus gardening tips section of the site.